It’s a common misconception that fashion color is a present day phenomenon. When the first perms came out in the 1930s, tinted solutions were all the rage (the photo on the top left shows an award winning example). 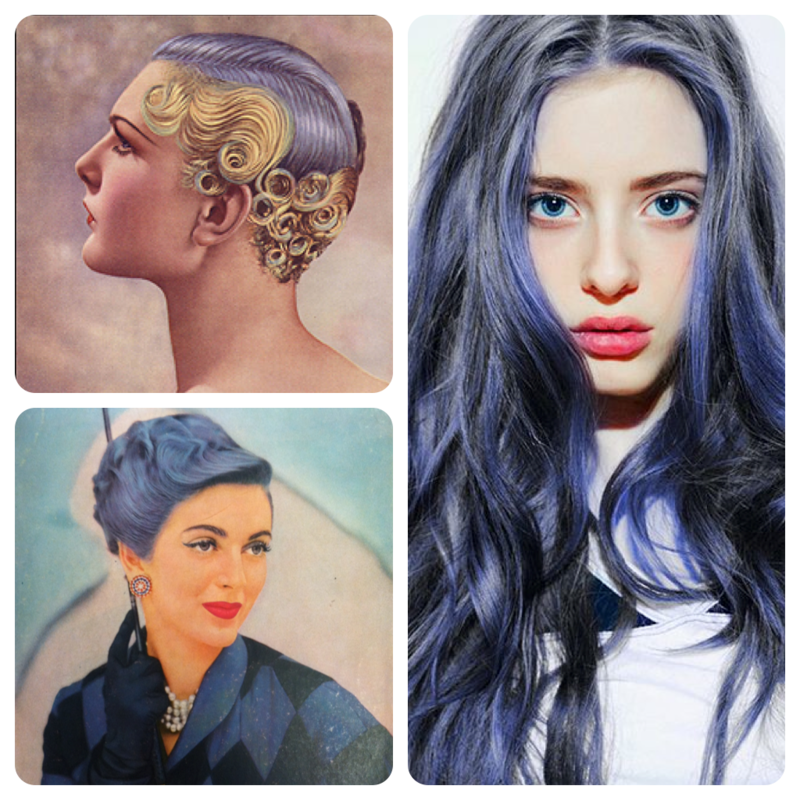 By the 1950s women were using all types of dyes to cover their grays and experimenting with all sorts of vivid tones. The image on the bottom left shows an add for a color called “Blue Vixen.” This vivid hue was considered elegant and stylish as were other vibrant tones: pink, violet, and even yellow. As “unnatural” hues come back into current fashion trends, we can learn a lot about their possibilities by revisiting the past. 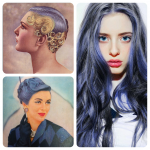 Get your own vintage inspired shade in salon. In order for these fashion tones to appear vivid, you do need to lighten the hair, and therefore it is best left to a professional. © 2019 salon ZERO. Built using WordPress and OnePage Express Theme.